Cultivate seedlings from seeds. Artichoke needs deep, humus soil, enriched with mature barn manure. Prepare it for winter by tying the leaves together, wrapping them with corn straw or spruce branches and garden cover, and covering soil around with organic mulch, straw, hay or leaves, topped with compost. Make at least 1 m (3 ft) distance between rows and plants. Sunny and protected against wind that could break the plant due to its height. Two to four plants per person. End of January or beginning of February in a protected place. Transplant outside when there is no more danger of frosting. Before planting, fertilize the soil with barn manure and add compost every year (use the compost, used for winter protection). The artichokes need enough moisture all the time or their flowers become few and unpalatable. You can plant artichokes alone in one garden bed, as they are big, but they go well with sunflowers in the vicinity. When they are still low, plant bush beans, peas or lettuce beside them. Artichokes are easy to cultivate. Take care of soft soil and strengthen them occasionally with algae solution. They are prone to lice or ash mold. Their worst foe is winter and it’s good to cultivate them in pots to be able to move them inside in fall. Cut the meaty flowers or young sprouts. Eat the meaty, not yet opened flowers. Its young leaves are edible as well. They contain a lot of beneficial components, the most important one being cynarine, which in combination with magnesium, iron and B vitamins prevents gallstones. It helps with liver detoxication and decreases the levels of blood sugar. It has a laxative effect. The artichoke plant grows up to 2 m (6.5 ft) high and needs enough space. It is a perennial that can last over winter in warm climates without problems, but needs help in other climates. It rarely blooms in the first year, but cultivating seedlings for 4 to 6 weeks at 2 to 10 °C (35 to 50 °F) can help. The plant will bear well the first three or four years, and then it is good to plant new seedlings. 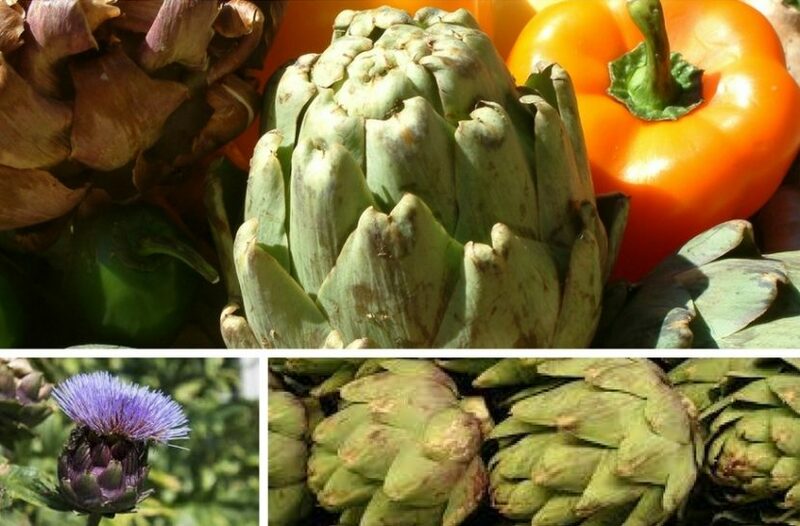 Artichoke and cardoon are close relatives and are difficult to differentiate. The artichoke is larger and their flowers are meatier, while cardoon has meatier lower parts of leaves.